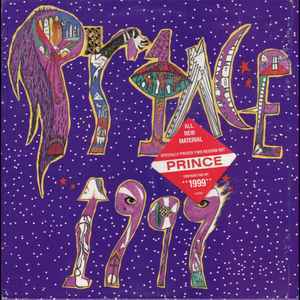 1999 is the fifth studio album by American recording artist Prince. It was released on October 27, 1982, by Warner Bros. Records. 1999 was Prince's breakthrough album, but his next album, Purple Rain, would become his most successful. The title track was a protest against nuclear proliferation and became his first top ten hit in countries outside the United States. The album was his first top ten album on the Billboard 200 chart in the United States (peaking at number 9, besting that peak at number 7 after his death in 2016) and became the fifth best-selling album of 1983 overall, eventually being certified quadruple platinum by the RIAA. I don't understand why anyone would want an exclusive copy of 1999 with half the album missing. Record Store Day release, not country specific, but a global release. This 1990 issue restores the album to it's full-length glory, by including the previously omitted cut "D.M.S.R." which was left off previous CD issues of this album due to space limitations of the older version of the CD format. Great collectable CD issue of this classic. All the more collectable for the glaring omission of arguably the album's best track, "D.M.S.R.". Great sounding press. Better than other versions that I’ve heard. umm, what does the 'jacksonville' marking mean in the format desc.? It is definitely Prince and the Revolution, shown on cover in the oval eye of the i in the name. This reissue is an excellent pressing. good bass, good highs, and super quite vinyl. Little Red Corvette is of course recorded too hot, but distorts rather nastily during the saturated parts on this one.